With a nearly 60 year heritage, Godzilla and his trademark ‘roar’ are recognized throughout the world by fans of all ages. Leading U.S. toy and consumer products company, JAKKS Pacific, Inc. (Nasdaq: JAKK), announced its partnership, under a licensing agreement, with Warner Bros. Consumer Products to bring this iconic and legendary figure to life with a line of large-scale figures and other toy products inspired by Warner Bros. Pictures’ and Legendary Pictures’ much-anticipated feature film, Godzilla, scheduled to premiere on May 16, 2014. The line of Godzilla products by JAKKS is expected to include an Ultimate Large Scale Godzilla Figure with 12 points of articulation and a length of over 43” – one of the largest toys in Godzilla history. JAKKS Pacific’s licensing agreement with Warner Bros. Consumer Products to manufacture, distribute and market Godzilla toys and products marks a decade long partnership, which also includes recent collaborations for Warner Bros. Pictures’ and Legendary Pictures’ Man of Steel and The Dark Knight Trilogy, properties also brought to life in JAKKS’ Big Figures line. 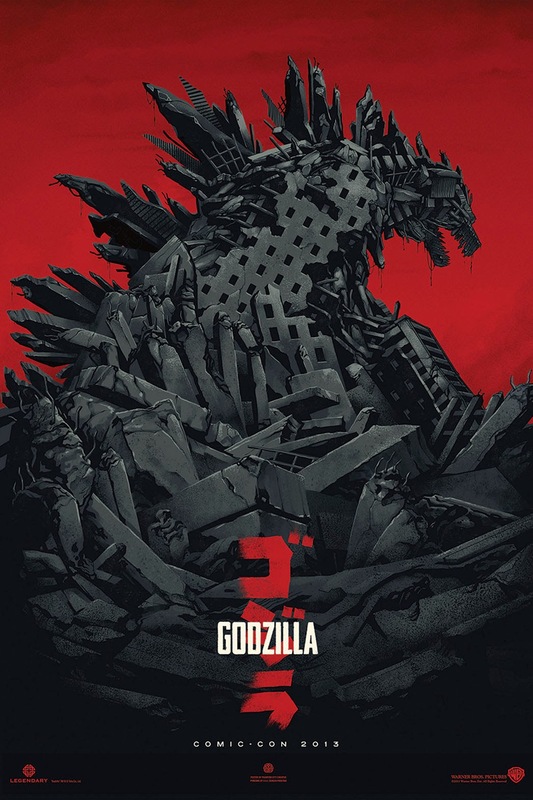 "This new version of GODZILLA is an epic rebirth of the iconic Toho property that transcends the disaster movie genre. The monster himself is a symbol that has remained an indelible part of pop culture for the last 60 years," stated Emily Castel, Legendary's Chief Marketing Officer. "We can't wait for the fans to get their hands on the line of products that JAKKS and Warner Bros. have created that embody the experience of Godzilla, King of the Monsters." “We are excited to partner with Warner Bros. Consumer Products once again to bring this world-renowned iconic figure to life in our Big Figures line. We have extensive experience in the creation and marketing of large scale figures based on powerhouse film franchises and we expect this new line of even bigger figures to make a true contribution to the Godzilla legacy,” said Jack McGrath, Chief Operating Officer, JAKKS Pacific, Inc.
“As we gear up for the highly anticipated release of the epic feature Godzilla, from Warner Bros. Pictures and Legendary Pictures, WBCP is thrilled to partner with JAKKS Pacific on a larger than life figurine that will truly do justice to the ‘King of Monsters,’” said Karen McTier, Executive Vice President, Domestic Licensing and Worldwide Marketing, Warner Bros. Consumer Products. The Godzilla product line from JAKKS Pacific is expected to be available at major retailers in time for the theatrical release in May 2014.